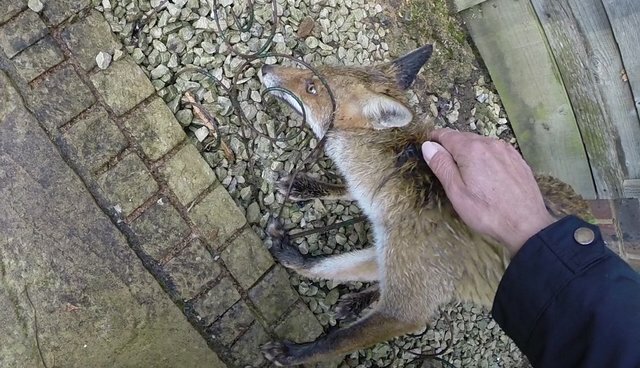 Simon was called out to rescue a fox that got his head stuck in a wire fence after wandering around a garden and falling over. The fox was suffering from dehydration and toxoplasmosis, which caused his incoordination. He stayed with us at the Wildlife Aid Foundation hospital, but despite our best efforts the toxoplasmosis was so far advanced there was nothing we could do to save him. Sadly, we can't always save every animal, but we do always give our best try.